So you know when you buy all of the matching decor items for your little kid’s bedroom and then a year or two later they outgrow it? Yeah, this happened to me. But now I have an easy solution for a themed trashcan makeover. 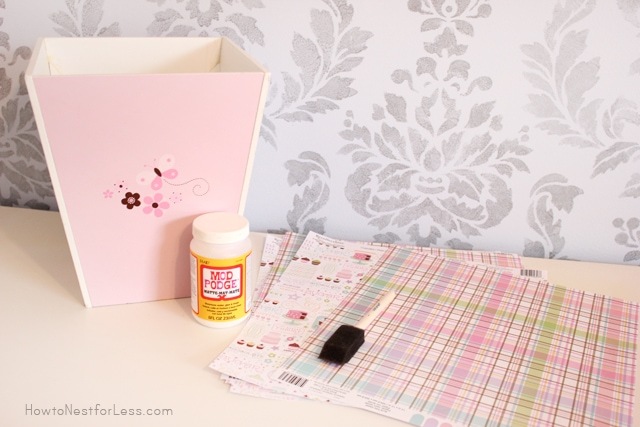 Mod Podge + Scrapbook Paper. Yeah, why didn’t I think of this before? Just a few little supplies transformed her butterfly trashcan into a cupcake themed one (her choice of course). Start by tracing out each side of your trashcan (only if it’s rectangular; if it’s round you’ll have to piece together your paper to fit the circumference). 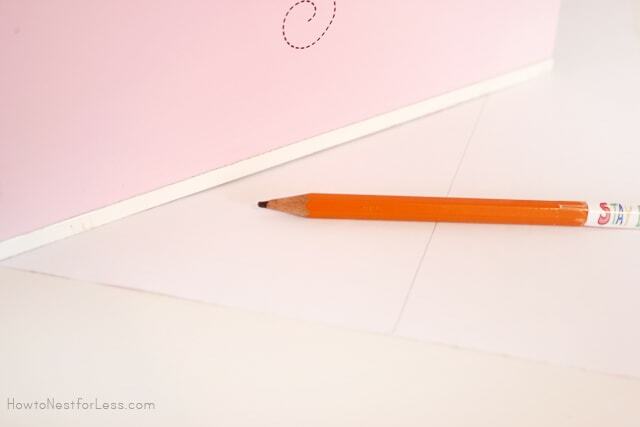 Trim along your pencil lines on the scrapbook paper with your scissors. Then it’s time to Mod Podge. I put a thin layer right on the outside of the trashcan and placed the trimmed out paper carefully on top. Smooth out all of the edges. 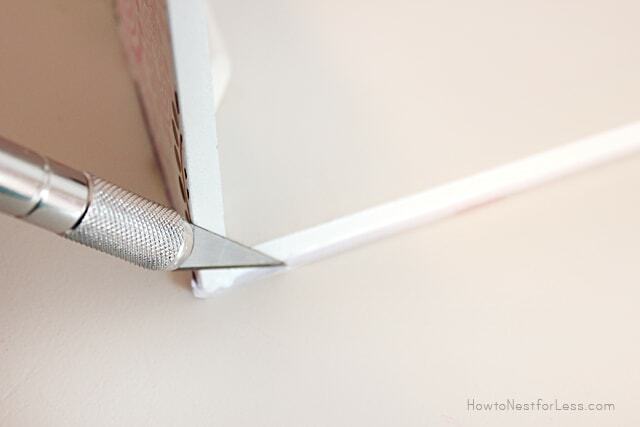 Trim off any excess you may have around the edges with an exacto knife. 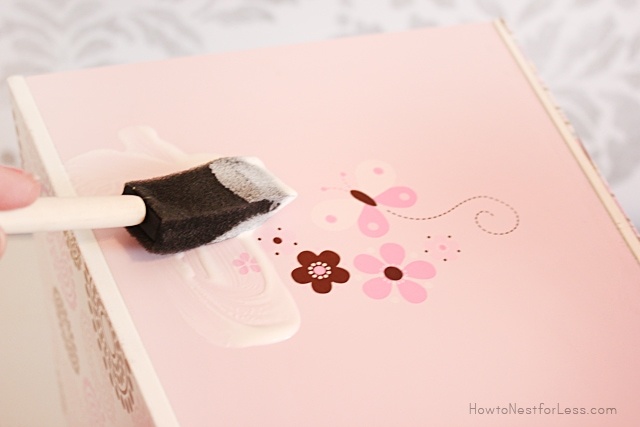 Then add a thicker layer of Mod Podge all over the outside of the trashcan. 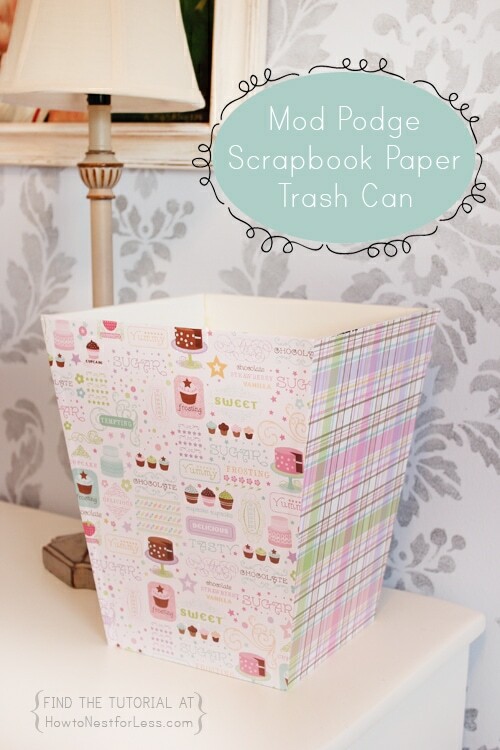 This will protect the scrapbook paper and make the trashcan easy to wipe down when it gets yucky. I mean, c’mon. 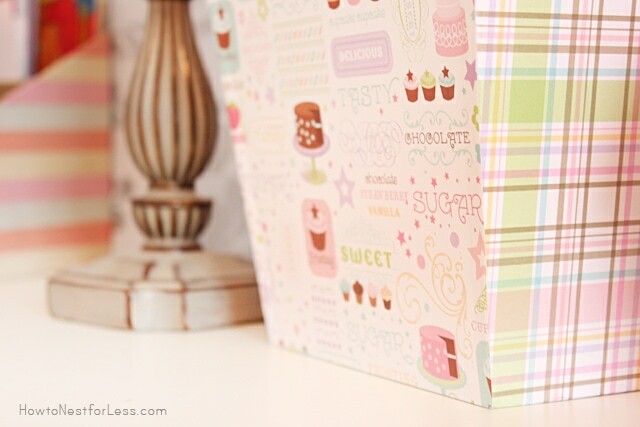 I had most of the supplies so only had to buy 4 new pieces of scrapbook paper. Total cost? $1 (thanks to a sale on paper at Michael’s). My kinda makeover. Very sweet for a little one’s bedroom. Super cute idea! 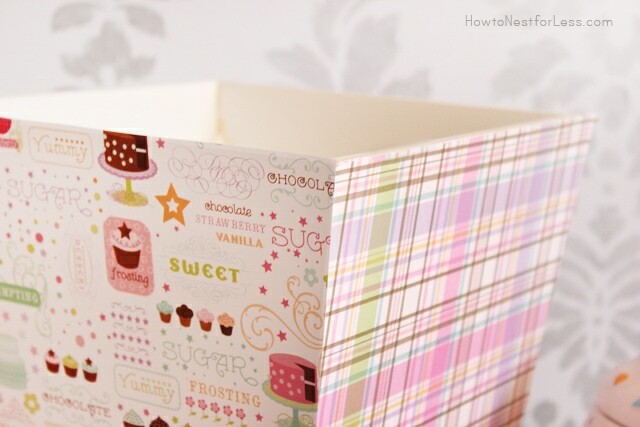 There are so many cute cute types of scrap book paper! Adorable! I love a makeover using what you have on hand. Looks great. Thanks for sharing, visiting from BNOP. Terrific way to do the three “R’s” and save money! Pss . . . I am becoming your newest follower as of right now! Awww, thanks so much Krystie!!! 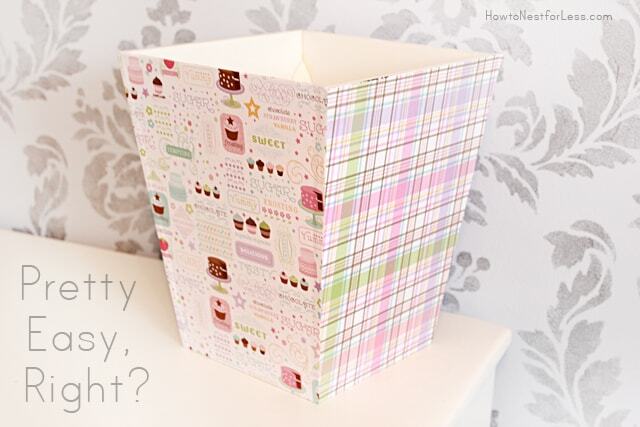 Oh that’s so pretty, modpodge seems to hate me I wish mine all turned out like this. I just love it! what cute and lovely idea for my little girl’s bedroom. I’m you new follower!!! I have a Link Party every Sunday to Wednesdays, It would be so cool if you could join me if you’d like!